The Oreoboros (Serpentes chocos-lac mobius) is a milk and chocolate serpent boss-monster that enjoys its own crème-wafer tail. It is a Möbius serpent possessing an outer scale of chocolate wafers and an inner side of sweet crème of which converges into a blend at its tail as one side. It enjoys twisting, dipping and dunking on adventurers that cross its path and is attracted by their sweet smell of success and their bitter taste of defeat but is agitated by their reeking stench of failure or beer. Sometimes, it is mistaken for a small dragon with tiny wings due to its agile nature in the air but it is more commonly found underground. Scholars have debated and differ in opinion on the proper method of dealing with an Oreoboros but almost all agree that it involves milk. The Oreoboros was a symbol of the infinite cycles of creation known as recreation. 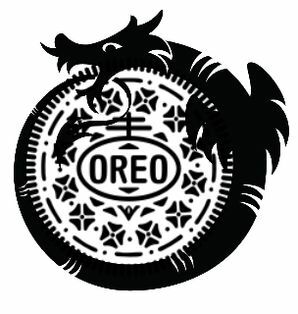 When the adventurers of Godville gave up chocolate in favor of beer, the balance of nature was upset and the ensuing breakdown of logic resulted in the creation of the Oreoboros. This recursive loop of creation, an infinite cycle of an infinite cycle, resulted in its ascension from symbolism to materialization as a Godvillian monster, monsters that rise into Godville out of conceptual and paradoxical impossibilities. Its close cousin, the Ouroboros or Uroboros, a winged dragon serpent, is known in Alchemy as a symbol of miscreation or creation of the impossible and forbidden such as the transmutation of gold into beer, creating artificial life and resurrection of heroes or heroines without a God or Goddess's consent, which causes quite the confusion. This page was last edited on 22 February 2019, at 15:38.